Any student who is planning to seek higher education in another country where the native language is English. Any scholarship and certification applicants. Any person who is learning the English language and wishes to track his progress. Any students or workers who are applying for visas in another country. It is evaluated that about 30 million candidates from everywhere throughout the world have enrolled and appeared for TOEFL CBT till date. The level of proficiency usually lies between Intermediate and Advanced. The TOEFL test (both TOEFL-IBT and TOEFL-PBT) is open to any student can register the test. Everyone and anyone can register for TOFEL. As we come to age eligibility TOFEL didn’t mention any age limit for candidates. But as per the suggestion Minimum, 16 years is the good age to attend the TOFEL. Same as the age, qualification is not mandatory.But students who have passed 10+2 level of any recognized Indian Board or University is a suitable qualification can take the TOEFL test. Because the level of the test is very high. 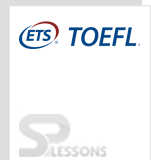 Since the TOEFL score is used is utilized as a measure of English language proficiency of a candidate by the universities and institutions of United States and outside, the applicants learning at secondary school level or higher can take this test to acquire TOEFL score. As per the ETS organization, they estimated that about more than 30 million candidates from all over the world have registered and appeared for TOEFL test bot iBT and CBT till now.